Cancer subject is such a diversified subject that most people prefer to shun it instead of facing it, talking about it, embracing it and supporting those affected and infected. Such situations has driven several people and organization to form foundations and campaigns that support the Cancer patients in treatment and financial support . – They have donated 30 field ambulances to Kenyan local government in various counties to help in fast responses where needs arises. – They focus cancer awareness and medical sceening camps in rural and sometimes urban areas. – She identifies Cancer patients in dire need of financial support. – She researches and conducts campaigns to help raise the needed funds to support treatment and family welfare of a said patient. – She drives the campaign to create Cancer awareness, she insists that everyone to talk 2 minutes of their time each day to talk about cancer and eradicate Cancer Stigmatization. – She believes that cancer is curable when detected early. – She advices life is short, you never know what tomorrow holds thus , ‘Let’s live and show love to one another love each day’. – It raises money to support cancer patients’ medical bills both abroad and locally. – It conducts campaigns to early screening and cancer tests to prevent late diagnosis. – It helps reduce stigmatization from the affected cancer patients and families. All these have purposed their lives to stand with the current Cancer patients, generally from personal experiences and caring hearts to help easen the burdens ofothers in similar situations. Apollo CBCC Cancer Care in conjunction with Cretum industries, are looking forward to set-up a Cancer treatment center in our soil to enable getting world-class treatment at really affordable rates. This is really great news, right? As we wait for the building set-up, they have made some steps to liase with the Kenyan government to start easening the Cancer journey. They have already donated a cancer treatment machine in the Kenyatta National Hospital. They have offering fully sponsored training to Oncologists doctors and nurses. They encourage that higher chances of successful treatment comes from more specific and targeted treatments and knowledge rather than general cancer treatments. – There are currently 9 practicing oncologists in Kenya. – Cancer kills more than HIV and TB combined. – Cancer is the 3rd leading killer disease in Kenya. 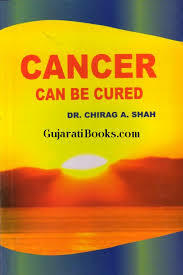 BUT, before you give up, Apollo hospitals, various Oncologists like Dr. Vishal Choksi ( Head and Neck oncologist surgeon), Dr. Chirag A. Shah ( Hematology, oncology and stem cell transplant specialist) they all believe CANCER CAN BE CURED. Yes, cancer can be cured, how? you ask. It took a lot of studies, research and observations from different cases over the years for them to finally testify and fully believe Cancer can be cured. First you have to understand that there are more than 250 types of cancers that can be cured and have already been cured. Some cancers can be treated without surgery, such as Lung, Cervix, bladder, prostrate cancer. Early prescription enhances the chances of healing. Always follow doctors prescription s and instructions. There are improved, targeted, hormonal, oral and day care medications to cure cancers, its not a must line to undergo chemotherapy. Advanced surgery of specific site areas have been brought up as a key for proper treatment. Remember, all the new technology needs advanced oncologists , willful patients for total success. Enough with the treatments stories, a lot more are not yet infected , and we have to ensure that not another person undergoes the same process. – Avoid alcohol, a glass of alcohol a day increases chances of getting cancer. – The younger the age, a more high impact risk, and a better impact of preventive measures. – Improve personal hygiene, kitchen hygiene, hand washing, taking daily baths, and good dental hygiene. – Exercise, have enough sleep to improve body maintenance and prevention. – Introduce skipping a meal once a week especially in the grown ups. – Enforce bans on tobacco adverts , promotions, and sponsorship to reduce tobacco usage. – The government to monitor tobacco uses and introduce prevention policies. – Parents to embrace and spend maximum time with their children. – Always keep in mind, Health is a balance that needs to be maintained. Be screened , Stay happy and take charge of your health. Cancer CAN be cured. — nettumaite – Service to Humanity is Service to God.